One of the leading industrial pump manufacturers in the Northeast, United States, Federal Pumps has kept a large amount of New York City’s water and waste pumping since 1927. They wanted to enter the digital age and be more accessible to their customer base of building engineers. 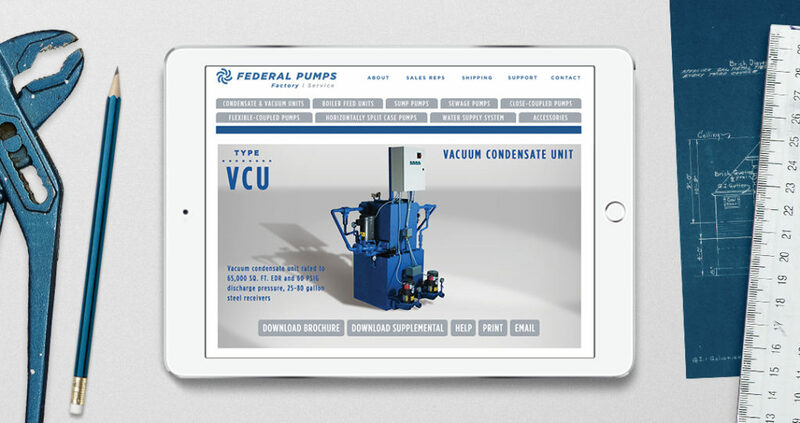 When we first started working with Federal Pumps they were sending out printed 300 page binders to their potential customers for over 30 years. They realized they were wasting time and money doing this and made it difficult for their customers to access important technical specifications. It was time to go digital. 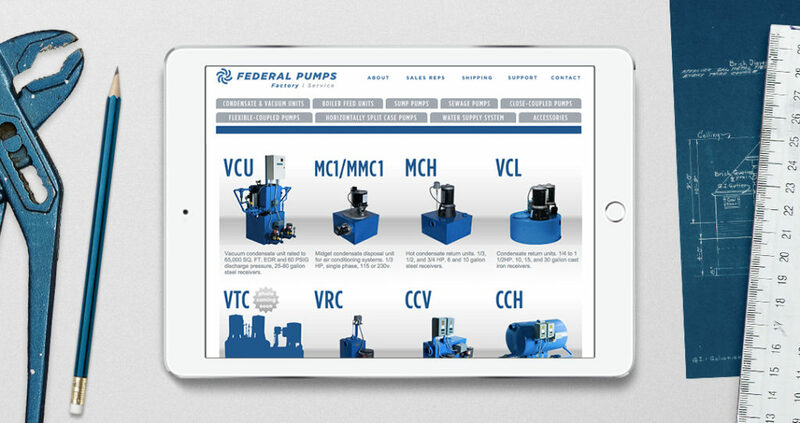 At the beginning of the project there were no Content Management Systems ready to handle the type of data Federal pumps had across it’s extensive catalog of products. We envisioned and created a custom CMS for Federal’s team to control data, and a modern website design to help users easily locate data and materials. 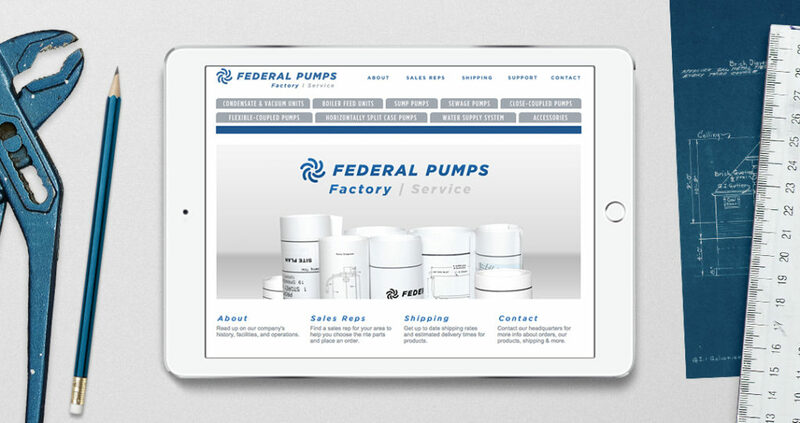 The final website helped deliver resources faster, keep their engineers up-to-date with information, and increased sales of their pumps and services.